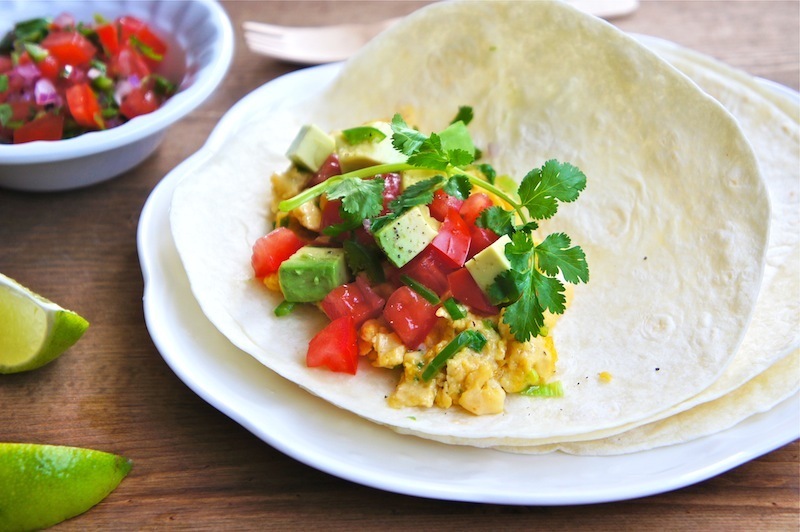 This delicious Scrambled Egg & Salsa Wrap is a really great breakfast to kick start your day! It's packed with nutrients and tastes fantastic. 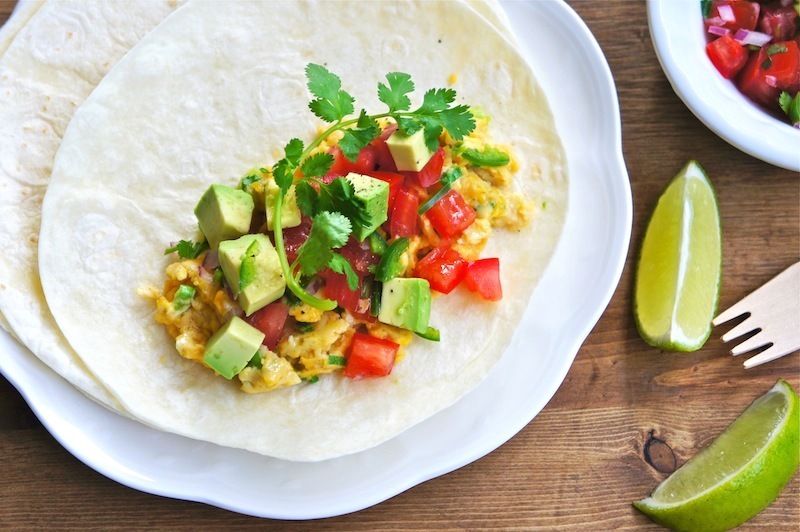 Fresh cooked scrambled eggs wrapped in a warm tortilla, topped with fresh tomato salsa, diced avocado, chopped cilantro, and season with freshly ground black pepper. Yum! Make the fresh tomato salsa and set aside. In a large bowl, place the eggs and add some salt and pepper as well as the chopped scallions. Whisk the egg until light and frothy. Set a medium pan over moderate to low heat and add the olive oil. Pour in the egg mixture and cook gently and mixing it together with a heatproof rubber spatula. Cook the egg to your preference, and toss in the cheese and cook until the cheese has melted and set aside. Warm the tortillas in the oven or microwave oven. Spoon the egg on a warm tortilla, spoon some salsa on over the egg, and top with avocado, cilantro and season with some freshly ground black pepper. Great recipe! Have some tortillas, need to try it for breakfast. Thank you! Angie, this looks more than delicious! A great breakfast / brunch recipe. I am a cilantro lover, so I will deffinetly try this. Delicious! Perfect for weekend brunch! What a delightful and delicious idea! I like simple wraps like this too! Wishing you and your family a very happy, prosperous and the best of health for this coming lunar new year. Xin Nien Kuai Le! That is my favorite way to start the day. This looks so easy and delicious - want to try this for brekky today!